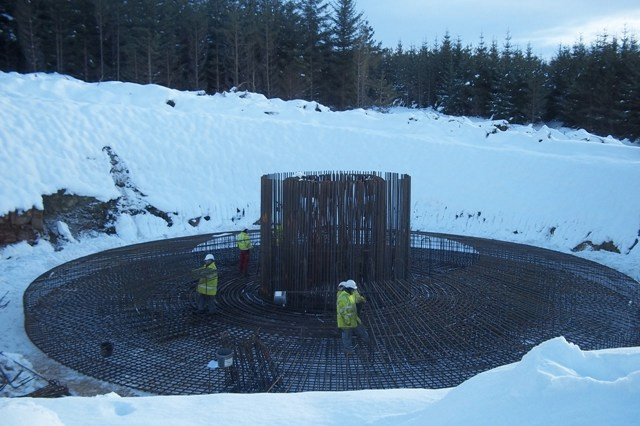 Charles Brand carried out the role of Principal Contractor for SSE Renewables in Scotland, where our teams delivered a new wind farm development between Aberfeldy and Dunkeld in Perthshire. 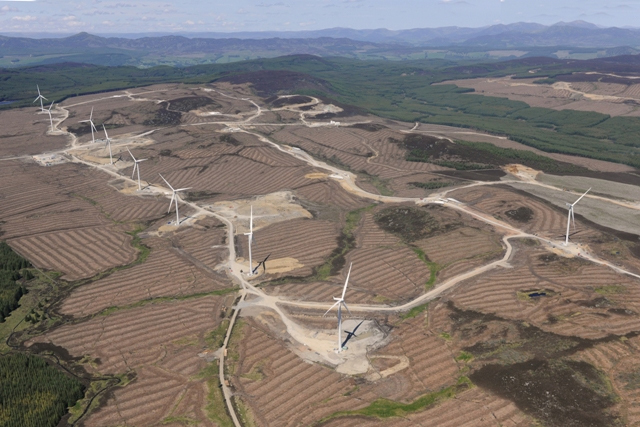 The giant 68-turbine Griffin Wind Farm spans 30km³ – mainly commercial forestry – and has a total capacity of 156MW. 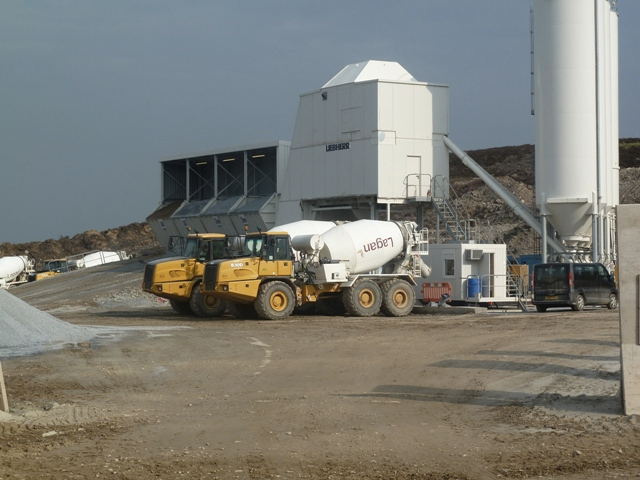 Work got underway in June 2010 and included the construction of the turbine bases, associated hard standings and 34,000m of access roads including three new precast concrete flexi-arch bridges to improve the delivery time. All 68 turbine bases were imported and fixed with 4,000 tonnes of reinforcement and placed in 27,000m³ of structural concrete. 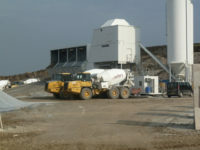 An on-site batching plant was set up to produce all the concrete and aggregate required for the project and was tested in an on-site lab prior to use. The scheme also included the development, operation and reinstatement of borrow pits which required blasting to enable the extraction of 300,000m³ of material. Once processed, the extracted material was re-used as rock fill, capping and sub-base for the construction of the access roads. We also designed and built four met mast bases, two operational buildings to turnkey standard, new permanent drainage – which required installation and maintenance of temporary environmental mitigation measures during construction – as well as managing the felling, clearing and marketing of 712 hectares of forestry.